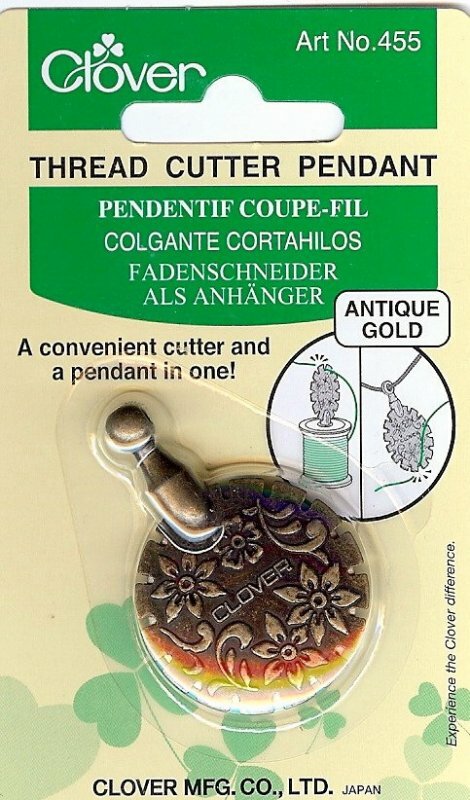 Clover Thread Cutter Pendant Antique Gold. Great for travel. 'Snip-Eze Multi Use Comfort Scissors'. Easy squeeze and snip action. 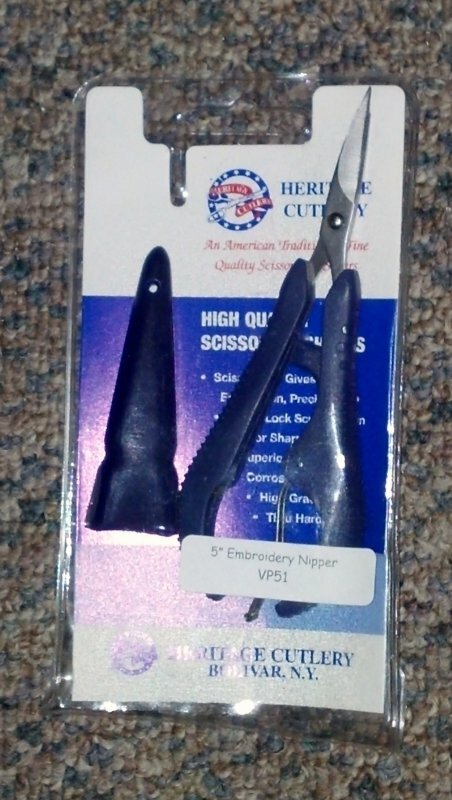 Lightweight and easy to pick up finely curved blades for precision cuttint gentle squeeze action reduces hand fatigue.